This September, my husband and I had the pleasure of spending a month in Italy. Outside of our busy home of LA, we both prefer staying in the countryside, meeting the locals, eating local cuisine, and experiencing daily life in the area. Summer was ending, but I still wanted to find a place with some beach time. Amalfi Coast and Cinque Terra are both beautiful areas, but we wanted to find a place with fewer tourists. While looking on Airbnb, I zoomed in on the west coast of Italy in between those two areas and found an area called Maremma. Porto Ercole is a small town on the Tuscan Coast. We stayed at the Rocca Espagnole, which is a short but steep walk from the main town center. We enjoyed short hikes, relaxing at the beach, eating delicious seafood and visiting nearby towns. Our Airbnb had a small kitchen which was great for us since we both enjoy cooking. With some of our market buys, we made carbonara with fresh pasta and pancetta from the local macelleria (butcher shop) and steamed mussels. The private grounds around the castle were limited to residents. We enjoyed the quiet gardens surrounding our Airbnb. Just a short 15 minute walk from the castle, we could rent chairs and umbrellas and lay out on these beautiful rocky beaches at Riva del Marchese. There is also a bar with espresso and some snacks available down near the beach. I would definitely recommend grabbing a drink at sunset at Hotel Il Pelicano. The grounds are beautiful and the service is excellent! 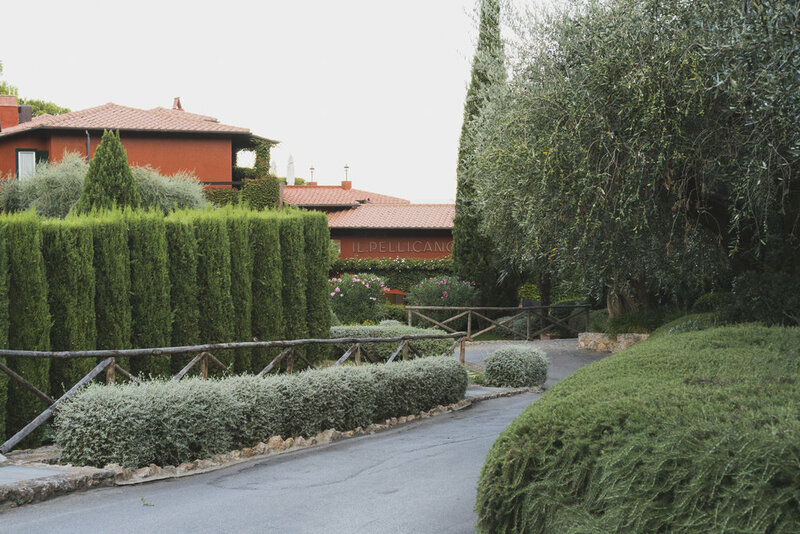 There are so many beautiful areas you can drive to around Porto Ercole. Just a 15 minute drive gets you to the trailhead where you can hike up and see some amazing views from Torre di Capo d'Uomo. Along the small path, you'll pass by two houses with olive orchards, and continuous ocean views. Private and beautiful quiet castle that overlooks the port. It's a short walk into the town center. Great local seafood restaurant in the town center. We made reservations ahead of time for dinner. Food is fresh and good, but expensive. We mainly dined here for the amazing view! On Saturdays, you can buy fresh produce, fish and also meats from local butchers. Sunset drinks at their bar that overlooks the water. Excellent service! A short but slightly challenging hike with great views. Every beach in this area requires a pretty rocky and steep walk to reach the beach. This beach is definitely worth it! Mainly Italian tourists and locals. Walkable from or Airbnb. Chairs and umbrella available for rent. Snack bar and coffee available near the beach.